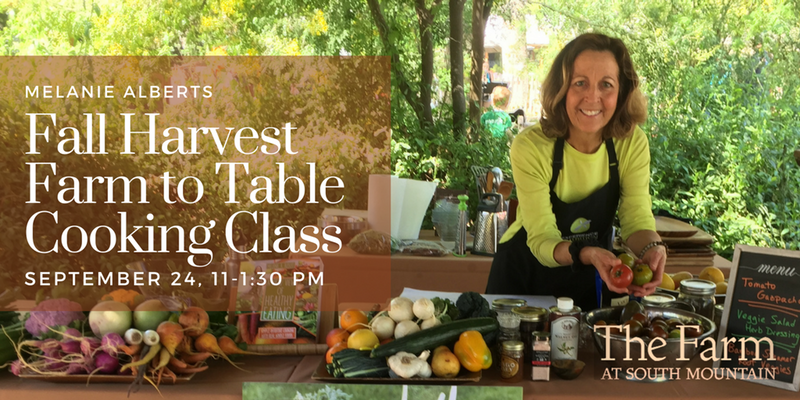 Join The Farm at South Mountain and Melanie A. Albert, Intuitive Cooking Expert and local Phoenix Cookbook Author, in a unique harvest-to-table local organic culinary experience. 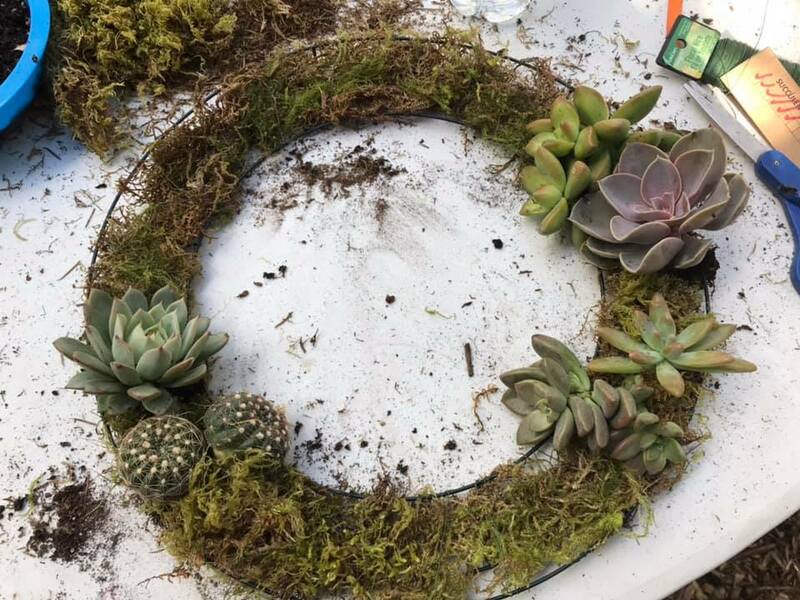 Tour the organic style farm and harvest organic veggies at the Learning Garden at The Farm. Create veggie dishes with local, seasonal, organic produce. Learn how to prepare the Fall veggies with simple culinary techniques in Melanie’s book, “A New View of Healthy Eating” using “what’s in season veggies” including cold tomato soup, Fall veggie stir-fry, and perfect roasted veggies. Mindfully enjoy your culinary creations with community in the beauty of The Farm at South Mountain.